Over the water: Stand firm,strike hard. The life of a class traitor and peripatetic scouser. 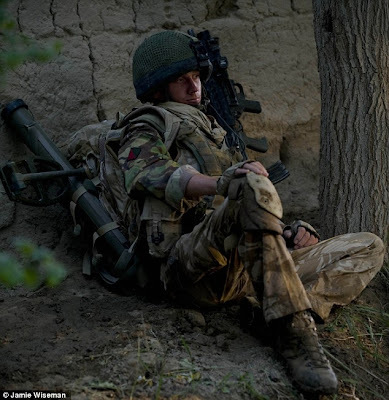 As I write (guiltily safe and comfortable),young British soldiers are fighting, and sadly dying in Afghanistan. I just hope their efforts whilst appreciated by us who care, are not wasted on our feckless politicians and the mass of our apathetic population. I understand the reasons why we fight and the complexities of the situation,I just hope they are given the equipment and the freedom to do their jobs and come home safe and victorious...God bless and protect our lads. Apparently the same politicians are wheeling themselves out over here today, something to do with the usual spin on their failure. 'Tis nauseating to listen to the inept thicko Politicians talking. They have no concern for our brave troops fighting their needless wars. The latest Minister of State for Defence Bob Ainsworth, (I think), can barely string an intelligible sentence together without showing the lack of talent he has for the job. God help our poor troops. We need a general election now to get rid of this hapless bunch! Christ I'd love to be Defence Secretary for a year. Those fat form-fillers in their £200 chairs in the MoD wouldn't know what had hit them. Most of them would happily elect for early retirement on a much-reduced pension. Our defence sector is basically a huge civilian pension scheme with a small tri-service fighting force attached to it. Tubes and Iders - both spoken with a mouth of razor sharp teeth - I feel so much better for seeing these comments...! For Tubes read Trubes...er... Corbieres? Yes but that's the thing - they are not given the equipment and the government doesn't give a damn about them. Absolutely - and when the come home the troops should keep their weapons and gear, and turn on the MPs and Gubbmin't weasels and oust the lot. This American truly appreciates your nation's sacrifice in both both Iraq and Afghanistan. A misplaced scouser finding life somewhat different over the water from Liverpool both on the Wirral and in California. Addicted to rebuilding old houses...will I ever learn? Blogs for a balanced diet.